Chateauneuf du Pape: the 5 minute guide to a legendary wine. 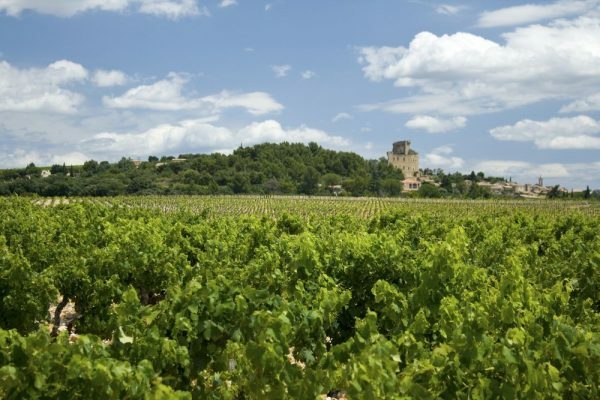 Chateauneuf du Pape is probably the most famous appellation of the Rhone Valley. It is also one of France’s best recognised wine names around the world. It was in fact France’s first appellation. Let’s dive into this wonderful appellation together. Chateauneuf du Pape is a small village in the Southeast of France, near the town of Avignon, just a 100km North of Marseille. It sits along the Rhone river, and is also part of the wider “Cotes du Rhone” wine region. WHAT IS THE HERITAGE OF CHATEAUNEUF DU PAPE? The name translates as “new castle of the Pope”. Indeed the village was once the residence of Pope John XXII in medieval times. I mentioned briefly that Chateauneuf du Pape was the very first wine appellation. How did that come about? Well, in the early 20th century, fraud became a big problem in Chateauneuf. Because the wines from Chateauneuf du Pape were so popular, many producers were trying to sell wines from other regions as Chateauneuf. To bring an end to these practices, the wine growers got together and created regulations framing how to produce the wine. They took official form in 1923; that’s when the Appellation of Origin label was born. The climate of Chateauneuf is a typical Mediterranean climate. In fact, the vineyard is located in the driest area of ​​the Côtes du Rhône. The vineyard has 4 distinct dominating soil types with Galets Roulés being the most famous one. Translated literally as “rolled pebbles” these stones store the heat during the day, and release it during the night. This helps keep temperatures very consistent. This in turns helps the grapes reach optimum ripeness. Chateauneuf also has areas with limestone, clay and sand soils. Traditionally, Chateauneuf du Pape is known for allowing thirteen grape varieties. When adding different colours of each grape variety, this adds up to 18. Black varieties allowed are: Cinsault, Counoise, Grenache Noir, Mourvèdre, Muscardin, Piquepoul Noir, Syrah, Terret Noir, and Vaccarèse. White and grey varieties are Bourboulenc, Clairette Blanche, Clairette Rose, Grenache Blanc, Grenache Gris, Picardan, Piquepoul Gris, Piquepoul Blanc, and Roussanne. Grenache noir (which is planted on roughly 70% of the vineyard) and Syrah (10%) are the two dominant grape varieties. Mourvèdre would be the next biggest name, with the rest of the list accounting for very small percentages overall. 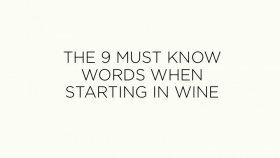 You should also bear in mind that Chateauneuf wines are roughly 95% red and 5% white. Red Chateauneuf wines are rich, powerful and complex. They are deep in colour, and have a medium to high alcohol level (between 12% and 15%). The dominant aromas are ripe fruit, truffle, mushroom and undergrowth. They can be aged for years becoming magnificent with a bit of age. White wines have 2 distinct styles; they can be light and mineral, or more oily and full-bodied. Typically, in their youth, white wines will reveal a delicate floral nose (white flowers). This is often accompanied by fruity notes (citrus, apricot, pear) and a touch of exotic fruits (mango, passion fruit). As they approach five years of aging, they tend to evolve towards notes of honey and orange-peel. PAIRING CHATEAUNEUF-DU-PAPE WINE WITH FOOD? To local wine – pair with local food. This is my mantra and it very much applies to Chateauneuf wines. 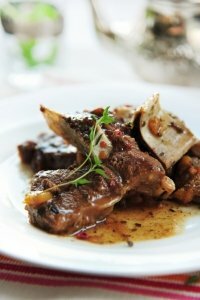 The reds will pair beautifully with a local dish called Daube. This beef stew is full of herbs, tomatoes, beef of course as well as other vegetables. This complex and layered dish will pair super well with the complex and layered wine. If you prefer seafood, scallops would be a perfect match with those delicates white wines. It pairs well with some cheeses, such as Brillat Savarin, St Marcellin, Epoisse or Affidelice because of their earthy aromas.